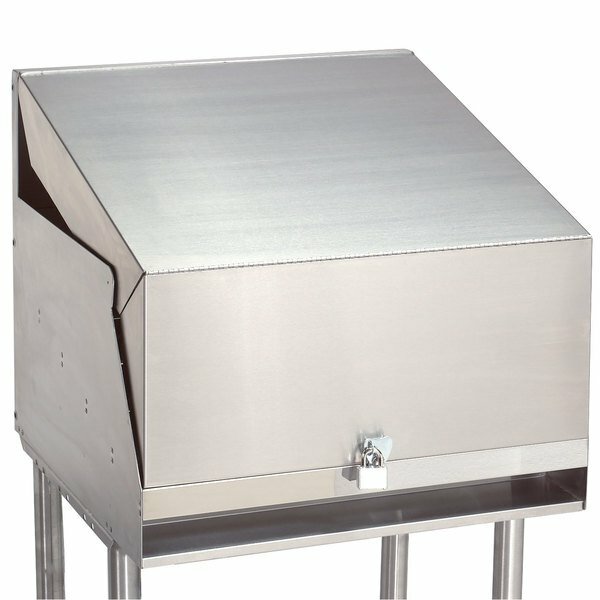 Protect and store your operation's liquor supply with this Advance Tabco LC-1824 stainless steel cover. For use with the LD-1824 liquor display cabinet, this innovative cover measures 18'' x 24'' and keeps your signature drink operations securely stored in between applications. A padlock and two keys are included for added security, and the stainless steel construction matches the cabinet. This factory-installed upgrade must be purchased in conjunction with a compatible unit. Purchased two LC-1824 covers and racks for our new outside bar. The build quality is abysmal. Extremely thin steel, poorly done spot welds, misaligned parts. The cover is largely unusable because the retaining tabs on the backsplash that are supposed to hold it are retained by only two spot welds and the tabs are fragile enough to deform with your pinky. I'll be avoiding Tabco products like the plague. Thank you for your review, Darren. We are sorry you feel so strongly against this product. A Customer Solutions Representative will contact you shortly regarding the issues.